Making a living as a freelancer can be tough, but the rewards can outweigh the challenges if you do it right. Here are five tips to consider when searching for your first client. This is a great way to get started. It’s not the best idea to constantly sell your services to friends and family, but it’s definitely a foot in the right door. For example, you might freelance as an IT contractor at your uncle’s small business, and through working there, someone looking for a freelance IT professional for a bigger company may approach you and offer you a great working opportunity. Networking is any interaction you have with people who have the same interests as you. It’s a very smart way of gaining clients. Networking at conferences, trade shows or events should be seen as “freelance food.” There’s a great advantage of meeting people in person because it allows you to form instant bonds and friendships with potential clients, or with people that will lead you to clients. If you aren’t able to attend networking conferences etc, then you can network online. This is an easy way of establishing yourself as an expert by joining in on discussions and forums within your fields of interest on LinkedIn, Facebook and Elance etc. Blogging is a way of setting up a platform where you can share your ideas and articles about your work and the industry you’re in and become a force to be reckoned with. By regularly writing blog posts, you’re able to create a presence for yourself online, and you can prove to people that you know your stuff and that you can be trusted. Another clever way to get yourself noticed is by partnering with someone who can connect you to clients, or who is connected to your target market. Imagine you’re a freelance photographer. You could approach a camera store and ask them to promote your service, and in return you promote their business. It’s a win-win situation. Seeing that you’re still learning, it won’t hurt to attend classes in your field of work. This could be seen as networking in a study environment because you’ll be able to talk to like-minded people at these classes. It may be that your lecturer leads you to a few potential clients. If the lecturer likes you, then what’s to stop him from recommending you? As soon as you get the ball rolling, your clients will start rolling in too. Shannon Norman is a writer for 1st Contact Accounting – experts in providing limited companies with advice and helping take care of contractors’ specific accounting needs, since 1995. Starting a Blog, and getting out there with the networking is definitely the right path. 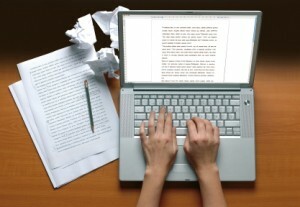 The more people you know who are writers, the greater your chance you’ll run across someone that needs a staff writer! I agree Brock, starting a blog can certainly open some doors. A blog is a great platform if you know how to get noticed, otherwise it could be hours better spent networking in real life, to people who aren’t very internet savvy. Again I agree, a blog is definitely a great place to showcase your skills. Handy tips. Networking can be seen like following a treasure map; eventually you’ll find gold (gigs, clients etc). “It’s not what you know, it’s who you know” is always a phrase that rings true, whatever profession you’re in. Yep, networking is the most important thing you can do Alex. Even if you’re not touting for business straight away, you usually find it comes your way if you make friends with the right people.